Mehmedabad is a town in Kheda district of Gujarat. Also a assembly constituency, it is of significant importance from political point of view. The city has witnessed considerable growth and development in recent times. Laden with sufficient infrastructure and amenities, Mehmedabad enjoys connectivity with other parts of the state. Modaj, Godhra, Ghodasar and Kheda are some of the nearby cities from here. Mehmedabad is located at geographical coordinates of 22.83°North and 72.77°East with an average elevation of 33 meters or 108 feet above sea level. It is situated on the banks of Vatrak River and is located 19 km from Kheda and 51 km from the state capital of Gandhinagar. It has a very good road connectivity to different nearby cities. National Highway 59 passes through the city linking it to major cities like Ahmedabad, Surat and Ratlam. There is a railway station here where many major trains have a halt. Ahmedabad junction is another major railway station very near from here located at a distance of 30 KM. Sardar Vallabhbhai Patel International Airport in Ahmedabad is the nearest one from here. The city of Mehmedabad was established by the King Mahmud Begada, the grandson of Ahmed Shah, and was initially known as Mahmudabad after his name. The city is dotted with many historical places of importance. The city is famous for 'Dhebri', a delicious crunchy item. Hindi and Gujarati are the local languages spoken here. As per the census of 2011, city has a population of 35,368. The city has a literacy rate of 87.04%. Mehmedabad has quite a variety of small scale cottage industries, the most famous ones being the leather bag cottage industry. The leather bags and purses manufactured here are very famous and people come from nearby cities to shop the same. Mehmedabad is a historical town with different historical places that are worth visiting. Roza Rozi Maqbara near Mehmedabad is a holy place for Muslims. It is located around 3 KM from Mehmedabad in Ghodali village. It is a Maqbara of Mubarak Said and every year a big fair is organized here during Muslim festival of Uras. The place has a great architectural design with the myth that one cannot count the number of pillars here. Every time one attempts to do so, he gets a different number. 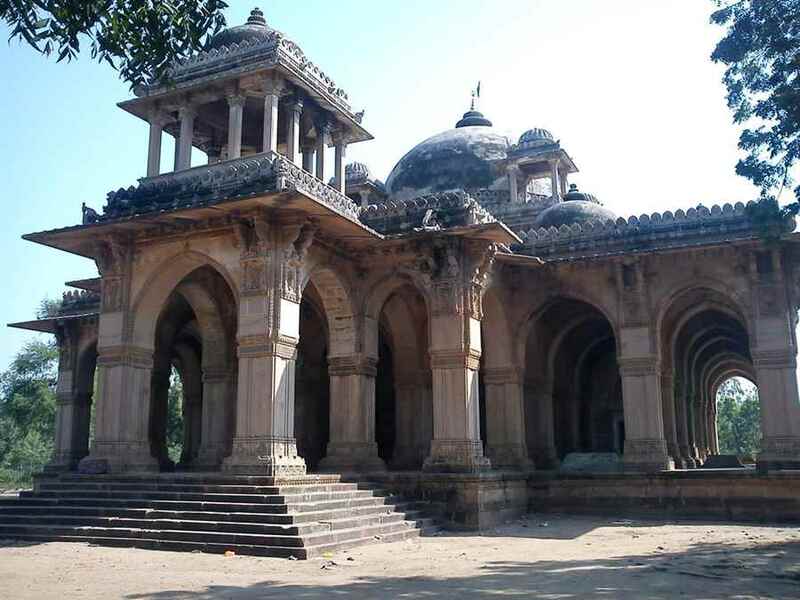 Chanda-Suraj Mehal is another famous spot located on the banks of River Vatrak. Here lies the ruins of a place that has worn out with times. Bhammariyo Kuvo is an ancient well with seven stories below the ground and each floor having a different architecture. The well was built during the Gujarat Sultanate and currently four to seven floors are filled, so one can visit only the top three floors. There are few hotels and restaurants near Mehmedabad to cater to the requirement of visiting guests in this part of Gujarat. Being an important town and also a assembly constituency, the city enjoys presence of basic infrastructure. There are hospitals and clinics to meet any emergency situation or mishap. Apart from hospitals there are also chemist shops to meet the requirement of the people. Health checkup camps are also organized to meet the healthcare requirements of the inhabitants of the city.